We are going to learn more about how Troy and a few others got started in this industry, and how their collision repair training led them to a career pathway in welding/fabricating. Jessi attended WyoTech’s collision repair program. While there she participated in an Overhalin’ show with Chip Foose and his A Team. After completing her training, Jessi became the well know host on on the television show, “Extreme 4×4” on PowerBlock. Jessi has also appeared on Myth Busters. Jessi used her skills to weld and fabricate custom 4×4’s, which she does a great job. Bryan Fuller has a lot of history in the hotrod industry. After attending a collision repair trade school, he has became a well known fabricator. 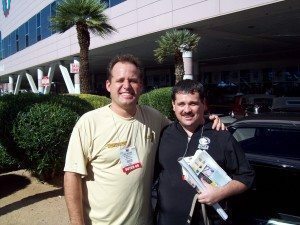 Bryan has worked for Chip Foose, appeared on the television show, Overhaulin, Rides, Biker Build Off, and is currently on the television show, Two Guys Garage. In the video below you will learn more about these three individuals, how they got started, and what their training led to. If you are interested in a career in collision repair and would like to learn about what this career pathway has to offer you, then I invite you to visit TeachMeHow.info. There you will find 3 selection, DIY How-To, Careers, and New Products. Simply click the second choice, careers and you will receive information about pursuing a career in collision repair.